This easy-to-use converter allows you to batch convert DWG, DXF and DWF to PDF without AutoCAD. 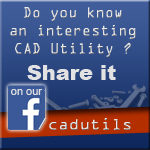 The version of AutoCAD 2016~R14 is supported. High output quality: Maintains powerful output quality by its Smart Object Recognition. Batch Process: Multiple DWG/DXF/DWF files, even complete folder can be converted in one go, batch process is available here. Retain the True Type Fonts to be searchable: t is simple to search text in output PDF. Remember to select “Retain TrueType Fonts” on step 4, the True Type Fonts will be searchable in PDF after conversion. PDF encryption and password protection: You may set passwords to protect the output PDF, and permissions to restrict printing, copying and further modifications for the converted file. Self-design Watermark: You can customize your own watermark-text, font, size, rotation, hyperlink, etc. It can be your company logo and anything you wish. Any DWG to PDF Converter is a batch converter that allows you to convert DWG to PDF, DXF to PDF and DWF to PDF without the need of AutoCAD.